indicates how much silver it takes to buy gold. For example, if the prices of silver and gold are 15.07 USD and 1,276.50 USD respectively, then the ratio is 84.7. 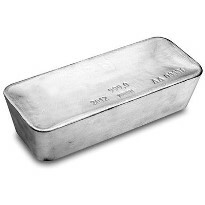 In other words, it requires 84.7 ounces of silver to buy 1 ounce of gold at these prices. Since 1985 the 80-50 rule would have resulted in only 7 trades (one every 3 to 5 years) resulting in one gold ounce to become about 4.9 ounces (or silver equivalent). Past performance is not a guarantee of future return, but the principle of switching into the relatively undervalued metal is a historically sound strategy.